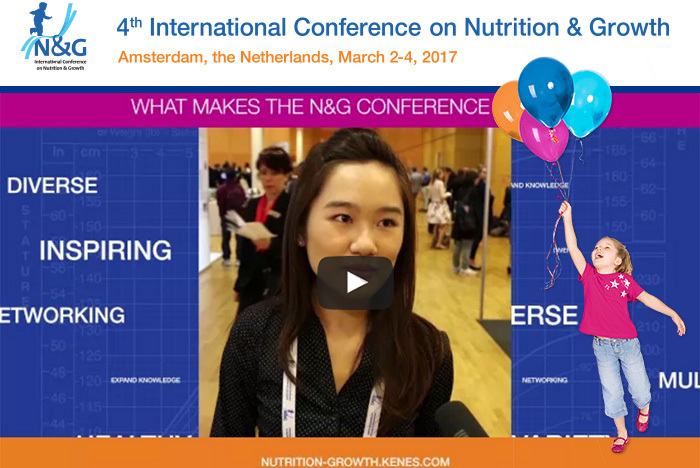 Have an inside look at what the N&G 2017 Conference offers professionals from around the world when they come together under one roof to discuss different aspects of nutrition and growth. We look forward to welcoming you to N&G 2017, the 4th International Conference on Nutrition and Growth, which will take place in the center of Amsterdam. By submitting an abstract, you will have a chance to present your research and newest findings at one of the largest gatherings in Europe on nutrition and growth. N&G allows the opportunity to share and exchange information with professionals of all disciplines to generate new research and clinical collaborations focusing on nutrition and growth. Review the abstract topics and submit your contribution to the program today.